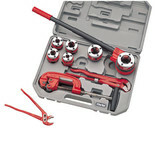 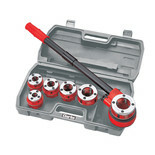 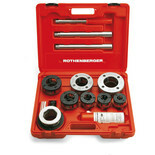 A six die pipe threading set suitable for iron, stainless steel, black gas & galvanised iron pipe. 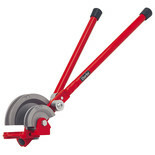 For the controlled bending of pipework for brakes and other automotive applications, without the risk of crushing, this simple lightweight aluminium tool is the answer. 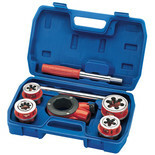 This portable kit will thread ends of 6 of the most popular pipes sizes in iron steel, stainless, galvanised and non ferrous. 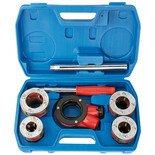 Handy for pipe fitters, plumbers, engineers, electricians etc. 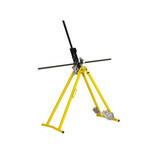 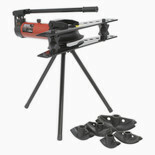 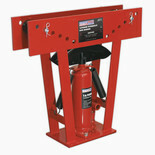 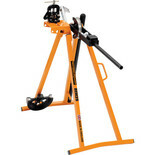 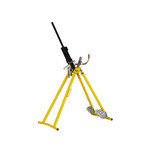 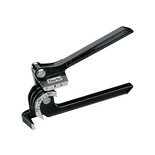 Stand mounted machine for bending conduit from 16 to 25mm; supplied with formers and vice. 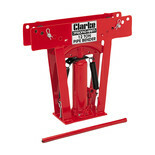 Improved vice plate allows clear access for threading. 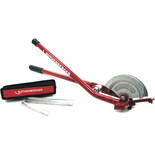 Optional wheelkit makes transport much easier.